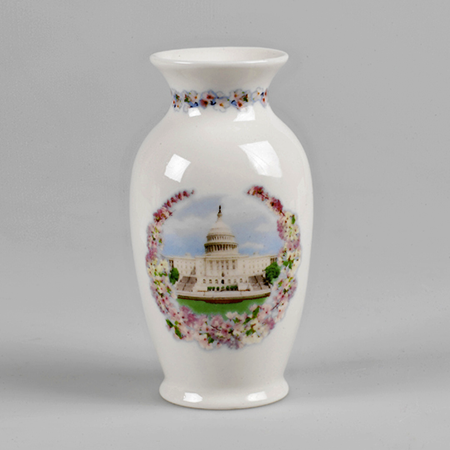 Our vase features an exquisite rendering of United States Capitol surrounded with a bouquet of pink and white cherry blossoms. This is an additional circle of blossoms around the neck of the vase. The vase is 5 and quarter inches tall.